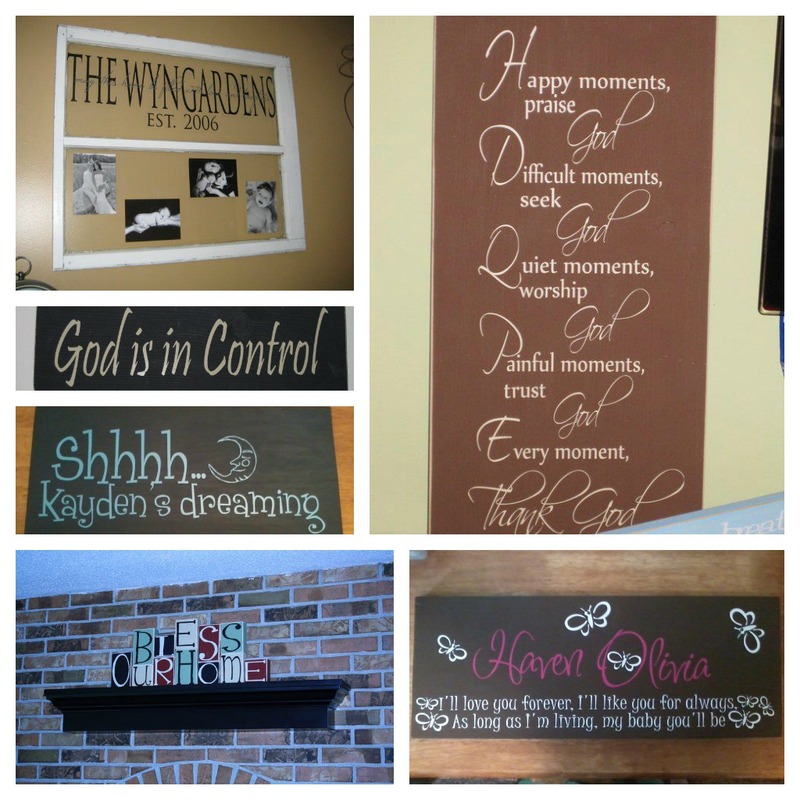 What makes Life Expressions Home Decor stand out compared to other home parties? First of all Burgundy has someone dear to her that is battling Cancer. She asked me to add this to her post for her. ("Today starts the Cancer board special! It will go for the entire month of Nov. $24.00 a board, your choice of color for the board and the vinyl, so you can customize for the cancer color you support. $5.00 from every board will be donated to a family of 4 year old twin girls of which one has brain cancer! Please help in anyway you can share my page, this post and here is a link to their page as well. Thank you all and God Bless!! Life Expressions Decor Consultant, Burgundy Carroll is giving away a $25 Gift Certificate to one lucky winner. 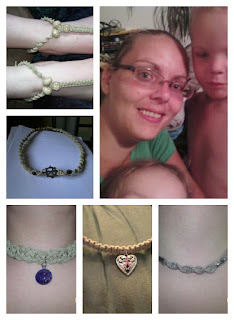 Since she also owns Starr Hemp Jewelry The winner will get a bonus free Necklace. Burgundy hosts Make and Take parties where one of the guests will become the hostess and earn all the hostess credits for the party. 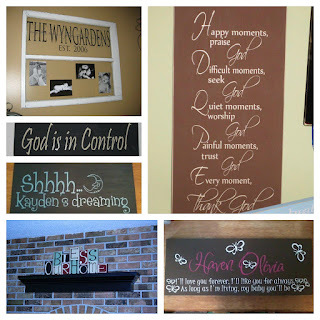 You can also order these signs to say what you want them to. Burgundy says she started her Life Expressions Decor Business because it so different then the other independent Consultant jobs. She makes home decor, by hand for her customers. Aside from that she is a a mom of four great kids and a student at the University of Phoenix. She is working on her Bachelor's degree in Psychology. She is 33 and been an at home college student since December 2010. 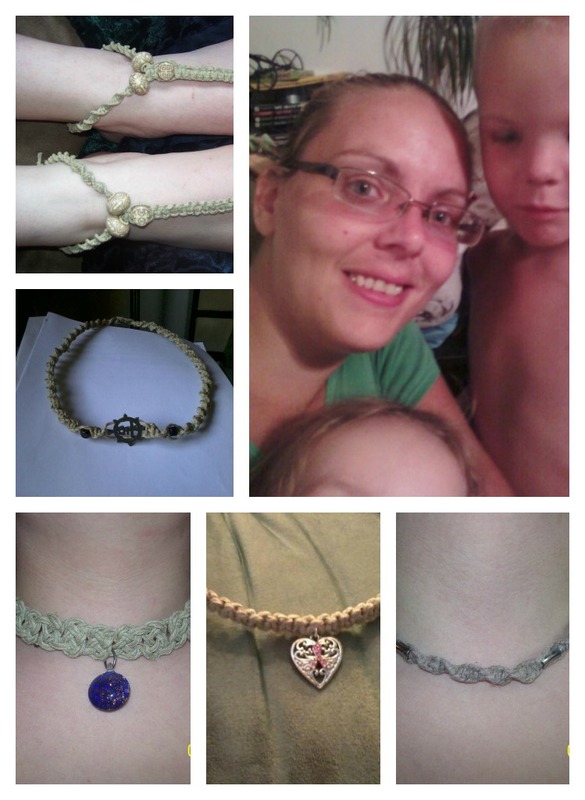 She is also the creator of Starr Hemp Jewelry as well. She chose to start her business to help out financially around the house while finishing school to become a licensed Psychologist. She says of her life, "My hands are full, but I would not have it any other way." I think we can all relate to that. I know I sure can. Beautiful home decor, love it. I also like the hemp items, very nice!